Garage-punk pioneers and stand out performers at 2012’s inaugural Dig It Up! 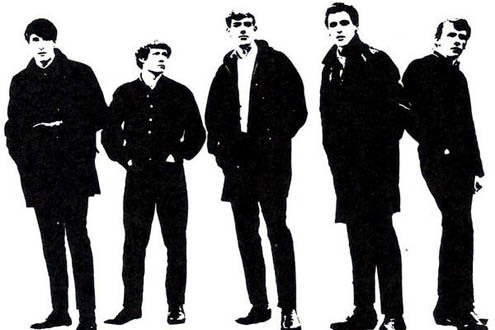 Invitational The Sonics, return to Australia this September / October at the invite of Wollongong’s Yours & Owls Festival and for headline shows around the country. Lead by saxophonist Rob Lind and featuring one time Kingsmen bassist Freddie Dennis alongside drummer Dusty Watson (Link Wray) The Sonics return to Australia in 2016 to perform all the ‘hits’ from those iconic ‘60s releases Here Are The Sonics, Boom, This Is The Sonics and so much more. Unfortunately, due to illness, original members Gerry Roslie and Larry Parpaya are unable to travel; their spots being taken by Jake Cavelier (Fuzztones / Lords of Altamont) and Evan Foster (Boss Martians) maintaining the garage factor and keeping the fuzz intact.